Sustainability and quality are the strongest trend of all when it comes to the mass market and, what will most likely be the biggest trend for years to come. We already witnessed in the Barnebys report how the "organic" approach has a major impact on buying power, especially among the millennials. It is not just political correctness, it is more a question of how the millennials looks at consumption and have increased their demand for quality over throwaway objects. As ”quality” items can cost large sums on the high street due to expensive materials and long costly manufacturing, the secondary market is tempting younger generations. Today, auctions offer the possibility to decorate your home for £3 000 - now that’s cheaper than Ikea. New is out, golden oldies are in. We have seen a desire to emulate the past, be it a rococo revival, the romance of Marie Antoinette or the golden age of Hollywood glamour, nothing is new or just discovered, we are all looking to the past for inspiration when it comes to art, design, fashion and collectibles. So why so retro? Quality, durability and sustainability. Recycling is going beyond cans and bottles - and it's chicer than ever. Today, auction houses and antique dealers offer those environmentally aware - and who isn't these days- the opportunity to fill their home with beautiful items with a rich history all for less than an Ikea sideboard. Design philosophy has changed many times, but now we are ready to take back what was. Without history, their is no future. Irresponsible mass production is over, it's all about quality not quantity. So throw out those high street catalogues and get searching for something you can't buy two of. 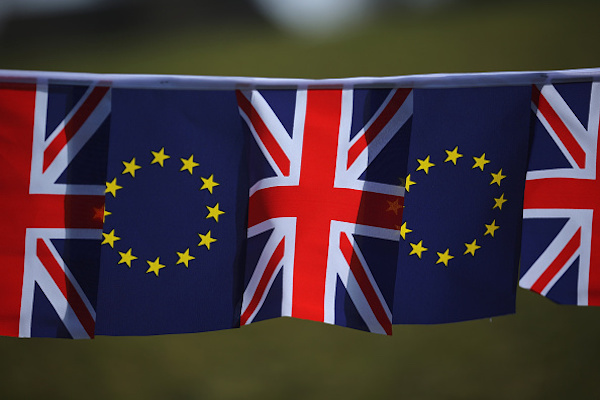 With the global political landscape redefined by controversial decisions we will see changes on the market. Even if globalization continues in the art and auction market, we will see how the national impact becomes stronger on each market. Trump’s policies on globalization could see the ”home market” increase for the US, which could also be the case in a post Brexit Britain. In 2017, France will decide a new president which, will of course, again change Europe’s markets. Life is not black or white. It is not either or. This is no different in the auction and antique industry,it's not about being online or offline. It's about the success of both, digitalisation is so much more than e-commerce. It’s about branding and customer loyalty, it’s no industry secret that repeat custom is the best. With the online revolution comes buyers from around the world, not just on your doorstep. 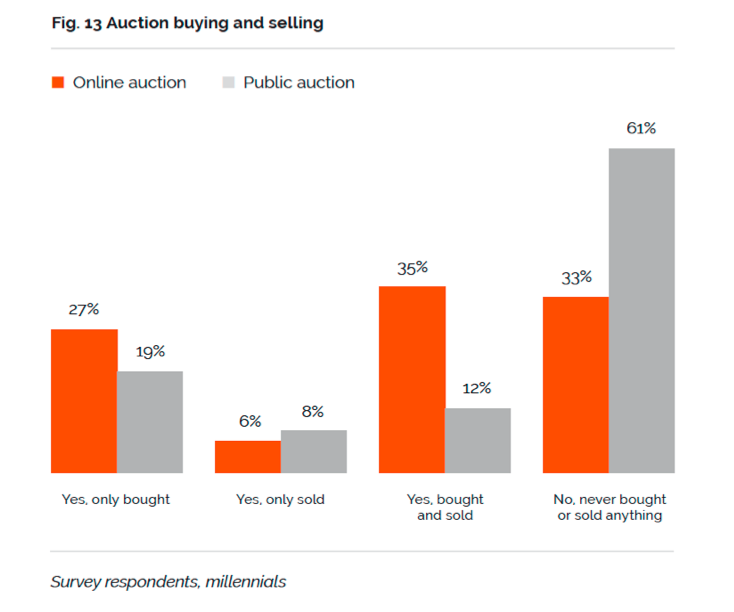 8 of 10 buyers aged 18-35 start their buying process online. Moreover, there are sectors of the market, certain goods, which adapt better to online trading than others. In retail, we have, for example, it is easier to buy music, movies, hotel accommodation and travel online. 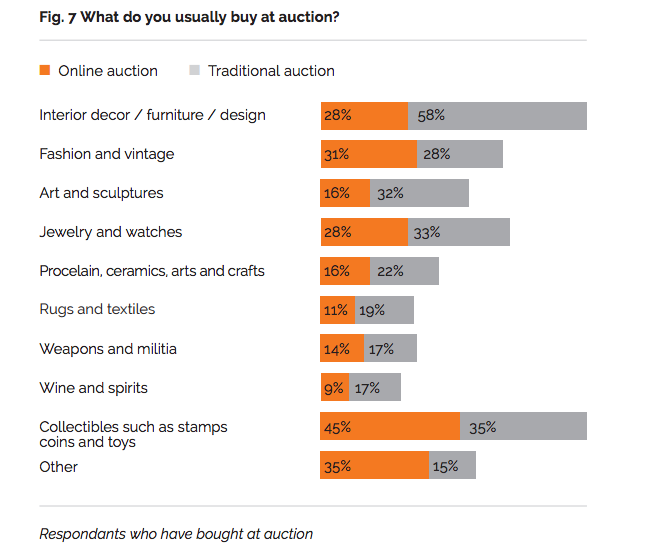 The same goes for with art and antiques in the higher price segment. But online does have an important part to play when it comes to luxury buying, for example, this buying a Mercedes Benz will start their research online. People searching online and then bidding at the physical auction. The most important thing for the industry today is to understand that everything is connected. Life is not black or white, it is not either-or. Just as auctions not are online or offline. The best and most unique still reaches huge price levels not seen since 1990 and 2008, before the great economic crashes. 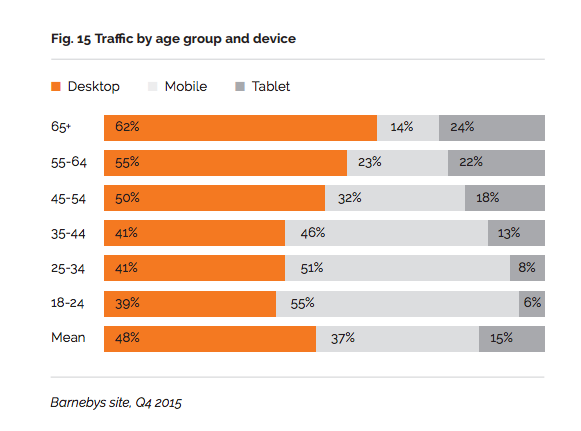 While the middle segment is struggling, the lower segment survives as online reaches out to a whole new and audience. During the year, several auction houses changed their auction calendar which had an impact on the quarterly results. 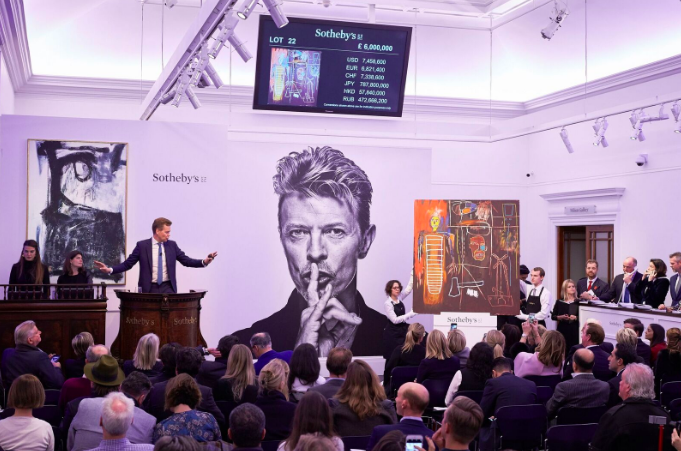 One trend is that a lot of auction houses mix antiques and modern design and contemporary art in curated viewings more than before, in order to reach out to a new generation and broader audience of buyers. During 2016 we have seen a lot of ”white gloves” auction, especially celebrity sales or collections of famous people. This will continue in 2017. Collectibles like watches, coins and classic cars win on the global market and increased online behavior will continue to grow. 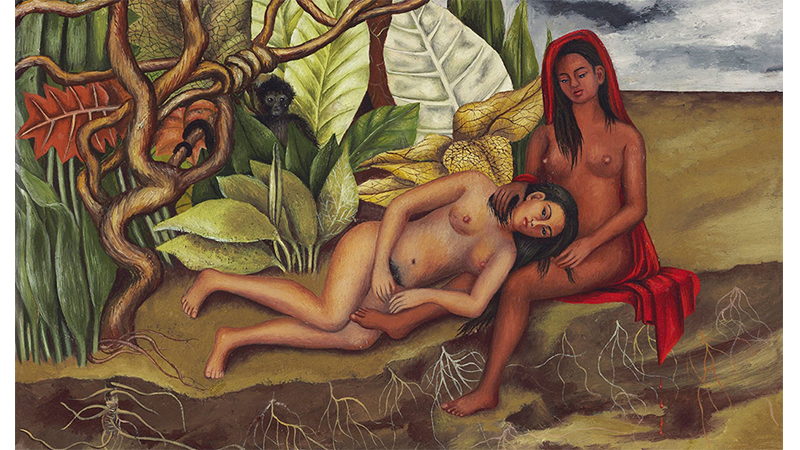 High prices for female artists who have written the history of art in their own time, or much later, will be a focus for auctions, galleries and museums for a long time to come. Gallery owners, dealers and museums will place great emphasis on finding new, hidden artistry like for example Hilma af Klint some years ago - of the Venice bienale and Moderna Museet in Stockholm- as well as the best work by artists like Georgia o’Keeffe, Louise Bourgeois, Irma Stern, Frida Kahlo that reach high prices on the secondary art market today. 20th century design has been hot as hell for since late 90's. But it is now hotter than ever and we see both world record prices as well as incredible growth in the lower and mig segment. 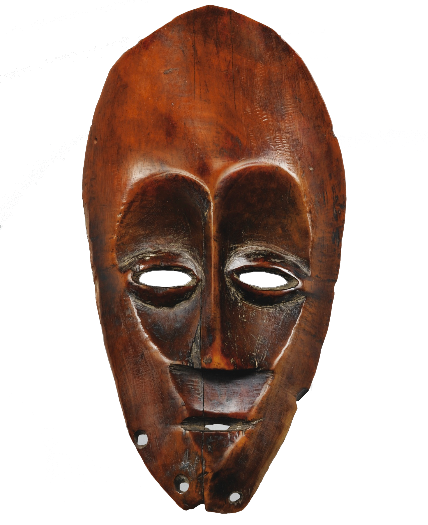 There will be an increasing focus on African art, which will include also sculptures, masks, furniture and more. Art from countries like South Africa, Nigeria, Ghana and North Africa will be more interesting to follow when it comes to auction results as the lack of gallery representation and a difficult to navigate domestic market. The market will be more and more aware that Africa is not a country, it's a continent with a rich and vast art scene. We already witnessed a rise in prices in 2016 for this market, that will continue to grow in 2017 and onwards. With contemporary art scenes that are opening up to the global market -especially the US- collectors are hunting for new pieces from both the 20th and 21st century. Demand will continue to increase for Indian arts and crafts. More interesting objects will reach the market within the next few years so we will see more record prices for top objects. The nation is boiling in many ways. Tehran has a population of 9 million, so the potential for art growth is incredible. Ceramics will take centre stage in 2017, and we will see more museum exhibitions focusing on important as well as emerging ceramics artists. Be sure to check out Barnebys report in January 2017 for more on this growing sector.